The outfielder was wallowing in negativity until his girlfriend put an end to it, and his senior year has been stellar. Rachele Armand had three assists as a defender on the Iowa’s women’s soccer team last fall. She also provided a big assist to the baseball team, prompting an attitude adjustment by her boyfriend, center fielder Joel Booker, that has resulted in a breakout season. “There was a week straight, every time I said something negative, she would jump down my throat about it,” Booker said. “She’s always positive, so she kind of turned that around and now I’m more positive and confident. The mopes have turned into ropes this year. Booker leads the Hawkeyes with a .344 average that includes 24 extra-base hits. He has stolen 22 bases in 24 attempts and ranks in the top 10 of the Big Ten Conference in seven offensive categories. He’ll be counted on to keep that production up as Iowa (27-25) opens play in the Big Ten Tournament at 5 p.m. Wednesday against top seed Minnesota (34-18) in Omaha. Booker can thank Armand for not letting him wallow in his frustration over last season. He can thank coach Rick Heller for cautioning him about spending too much time around people whose negativity can become contagious. And he can thank an offseason full of work in which he focused on becoming more selective as a hitter, waiting for the ones that he can drive into the outfield gaps. Booker has 17 doubles, the highest total for a Hawkeye in five years. He enters the tournament with five multi-hit games in his past six. Booker isn’t the only Hawkeye playing his best baseball in May. Senior pitcher Tyler Peyton, the Dallas Center-Grimes product scheduled to start the team’s second game in the double-elimination tournament, hasn’t allowed a run in his past 23 innings. He's surrendered a mere eight hits in those three starts. The inflammation in his elbow is behind him now, and Peyton, who plays first base when he’s not pitching, has responded at the plate as well. He’s batting .320 overall and has taken off since being moved to the leadoff spot 16 games ago, putting up a .391 clip since then. That move corresponded with Heller sliding Booker to third in the lineup. 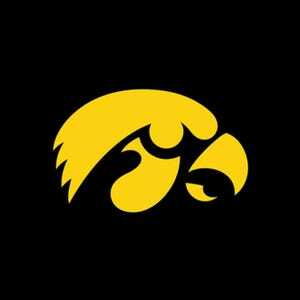 The Hawkeye starter talks about facing Minnesota again with much higher stakes. Heller will start C.J. Eldred (2-8, 3.60 ERA) against Minnesota in order to get Peyton one more day of rest. Peyton pitched a complete-game shutout at Penn State on Friday to clinch the Big Ten Tournament berth for the Hawkeyes. Peyton said the key to his recent success has been locating his three pitches — fastball, slider and changeup — better. He has confidence to throw any of them in any count. Booker is brimming with confidence as well, and he senses that the Hawkeyes are better positioned entering the Big Ten Tournament this year as an eight seed than last spring, when they finished second in the regular season only to lose two of three in the tournament. This year’s team had to win four of its final six league games just to earn its spot in Omaha. “Performing under pressure probably helps a lot, because it’s not like we haven’t been through adversity whenever it comes that time,” Booker said.